This summer I had the opportunity of not only excavating at Peyre Blanque again, but joining the Centro di Conservazione Archeologica (CCA) in Sardinia, Italy to work on the conservation of the Mont’e Prama statues. 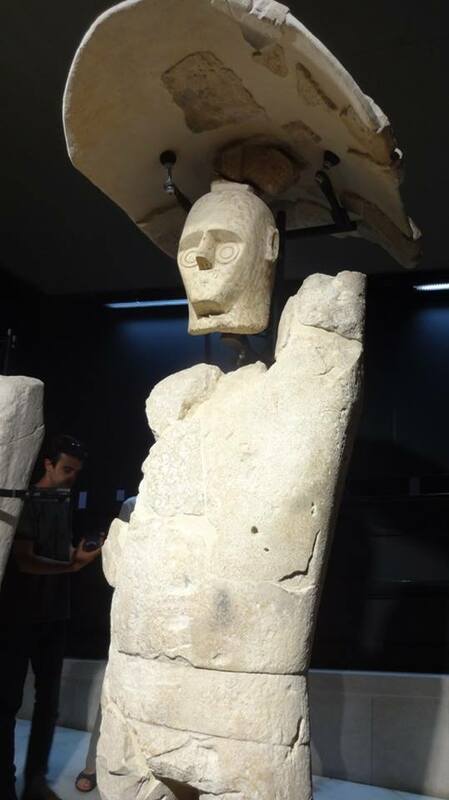 Just for some background, the Mont’e Prama statues are from the Nuragic culture during the Neolithic period and as of now they seem to be markers put on top of warrior’s burials. 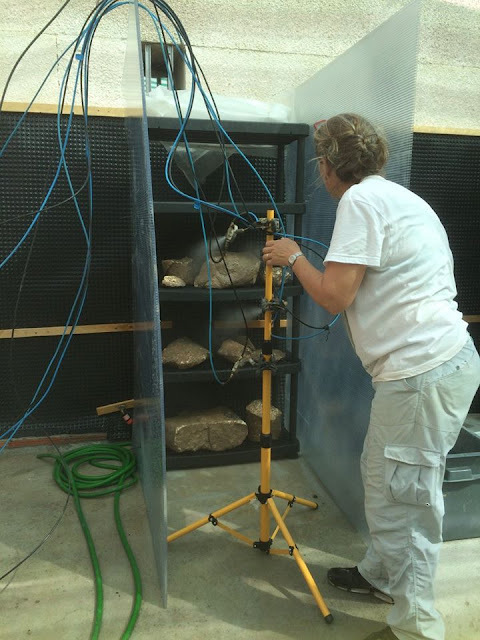 I went into the project thinking what a great experience it would be to see archaeological conservation firsthand. After excavating and getting to handle artifacts, I wanted to be able to know how to preserve them as well. Unfortunately, we only experienced the cleaning portion of the conservation process. We spent each day dunking the fragments into tubs of water with a dash of cleaning solution and then scraping the caked dirt off with scalpels. I was disappointed, because at Peyre Blanque we clean our artifacts during the excavation itself, something I thought happened during most excavations. On the bright side, I got to learn how to clean stone! To be fair, the artifacts we find at Peyre Blanque are also stone, but the cleaning processes are very different. As I mentioned before, we dunked the fragments in buckets of water and then used a scalpel for more fine cleaning. An atomized water system was also used for the more tricky fragments. The atomized water system involves a machine which disperses a mist onto the fragments in order to soak them without saturating them, as an excess of water could greatly damage the stone. Every ten minutes or so you need to rub the fragments with a toothbrush to take the dirt off layer by layer. At Peyre Blanque we also use toothbrushes and a bucket of water to clean, but since the fragments are so small there’s no need for scalpeling. It’s impossible to get all of the dirt off the stone fragments, but you have to get as much as possible. 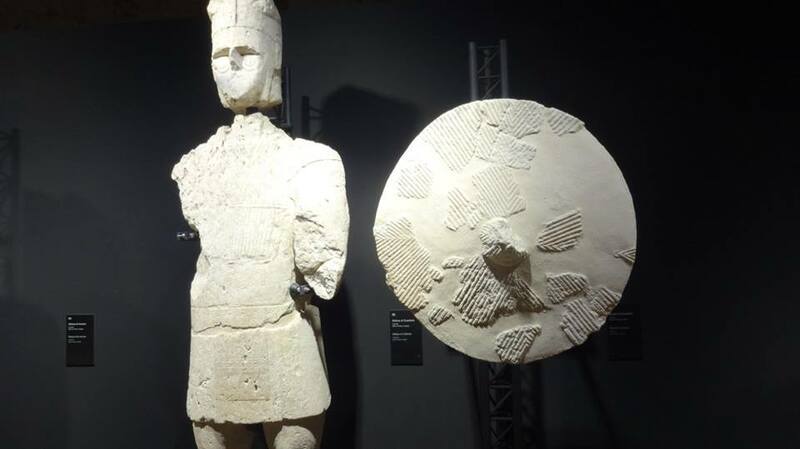 The Mont’e Prama fragments will be put back together to create the statue it once was, after which they will be put on display in a museum. Since they’re going to be on display, they have to look as pretty as possible. There was much more of an emphasis on the appearance of the statue rather than the importance. I had no clue why these statues were important until maybe four days into working. I understand that the goal of the conservator is to protect the artifact, but I feel they should have a valid reason for the protection and that reason comes from context. Especially after experiencing the excavation at Peyre Blanque, I’ve learned that context is everything, and it absolutely baffled me that they didn’t seem to care or at least find it important enough to tell us right off the bat. One thing I did admire, though, is that there was such a heavy emphasis on getting the public interested. We had national news stations, local news stations, and even French and Japanese news stations come to film our work. As we were based in the center of the Cabras museum, field trips, large groups, and individual museum-goers came and watched in fascination as we worked on real archaeological finds. You could tell they were impressed and immediately felt more of a connection to the statues, which was the whole point of this publicity. It was incredible to see. It reminded me of Peyre Blanque, as well, since we always have groups coming to tour the site and museum guides coming to excavate with us. It’s important to get the public involved to show the importance of what we do and I love seeing how much people really care. So essentially, what I’ve learned this summer is that the difference between conservators and archaeologists is that archaeologists care about meaning, which is of course based off of context, so they can determine what these past peoples were like while conservators care about making the artifacts as presentable as possible. But both fields care about reaching out to the public to educate them on the artifacts themselves and why what we do is important and that’s something I can certainly stand behind. It may sound like I think archaeology is better than conservation, but that’s not necessarily the case; they go hand in hand. When we visited the cave of Niaux (Ariège, France) this summer we learned about some actions taken to prevent the complete destruction of the cave paintings. There was a flood in the 70s, I believe, so to save the paintings they built in some drain-type things on the cave walls to divert the water away from the paintings. They also built fake stalagmites to attract the water. These actions are considered preventative conservation; there are changes made to the site not to make it prettier and better for show, but to protect what we have left of this culture. This, I think, is what conservation should really be about. Jenna Hendrick is an undergraduate student at Binghamton University. She is majoring in both English and Anthropology with a minor in Spanish. She hopes to combine her love for both writing and past cultures in her future endeavors, beginning with an honors thesis on the importance of fiction to anthropology.